Hey guys, i'm new to the emulation world. I'm trying to emulate both games. Am I missing any configuration ? 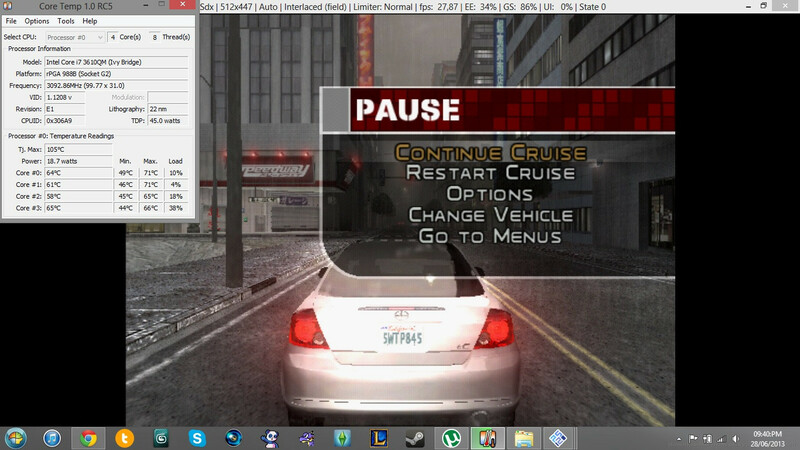 Maybe using an old PCSX2 build ? outdated plugins ? 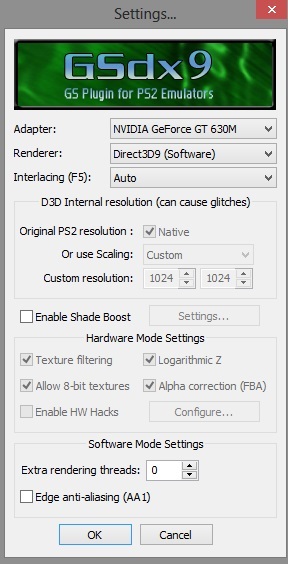 I do play at 60 FPS and then suddently goes straight to 5 ~ 15 fps. Make sure you are using either the latest stable build or if you already are then try the SVN build. He said his speed suddenly drops, he doesn't need speedhacks, it sounds more like overheating/power plan problems. I've done some benchmarking. Got some interesting results. It's not dropping anymore from 60 to 5 ~ 15. Maybe it's a matter of configuration ? Speed hacks ? Yes, all drivers are updated. I forgot, the max temperature CPU reaches is 63 degrees.